Sacramento City Chemistry Club never stops working hard to bring students together for the love of experiments, community events, and all things chemistry. With a new group of club officers and many new experiments so far it will be another great year! So far this semester our club has done a lot to maintain our focus on science in our community from a tour looking at how chemistry is used in jobs you might not expect as well as a speaker series inviting SCC alumni to come back and talk with our current members about the transfer process and to share some insights to help them through the rigors of being a STEM major at many different levels. 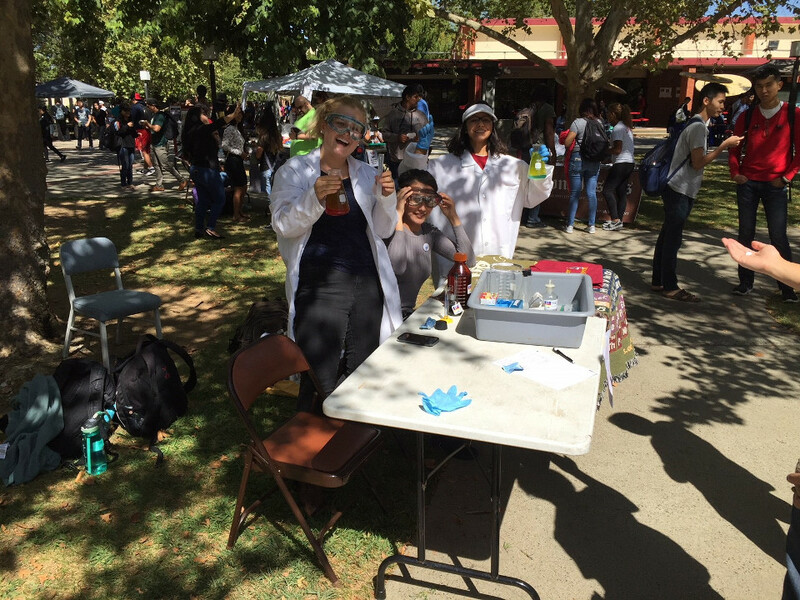 We started our semester off having fun with experiments while recruiting new members to join in on the chemistry club action at club day. The club performed a classic slime experiment using Borax and Polyvinyl alcohol and had club day attendees customize it with food dye. To further advertise our club, the table was decorated with ACS chemistry blankets, chemistry related videos were playing on a laptop, and there were club made lava lamps on the table. Using dyed water and vegetable oil, Alka-Seltzer tablets were put in the solution causing bubbles of water to form and create the lava lamp effect. 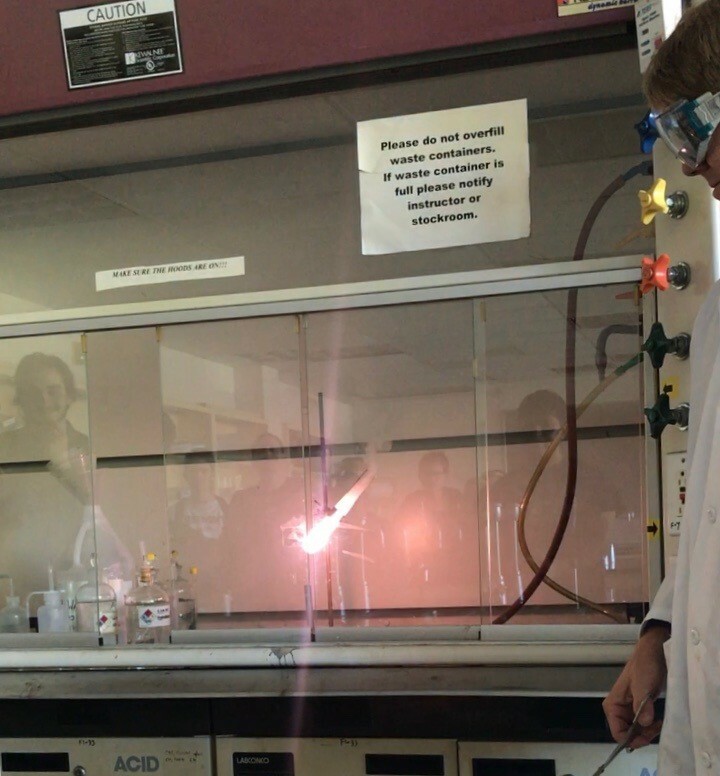 With these efforts the club was able to get attention of many chemistry students and non-chemistry students alike! We also looked to the community to expand our knowledge of chemistry related professions outside of the lab. Living in the farm-to-fork capital not only means access to delicious food, but to a rich culture of brewing which dates back to 1849 here in Sacramento. Now, in 2017, there are over 60 breweries in the greater Sacramento region. 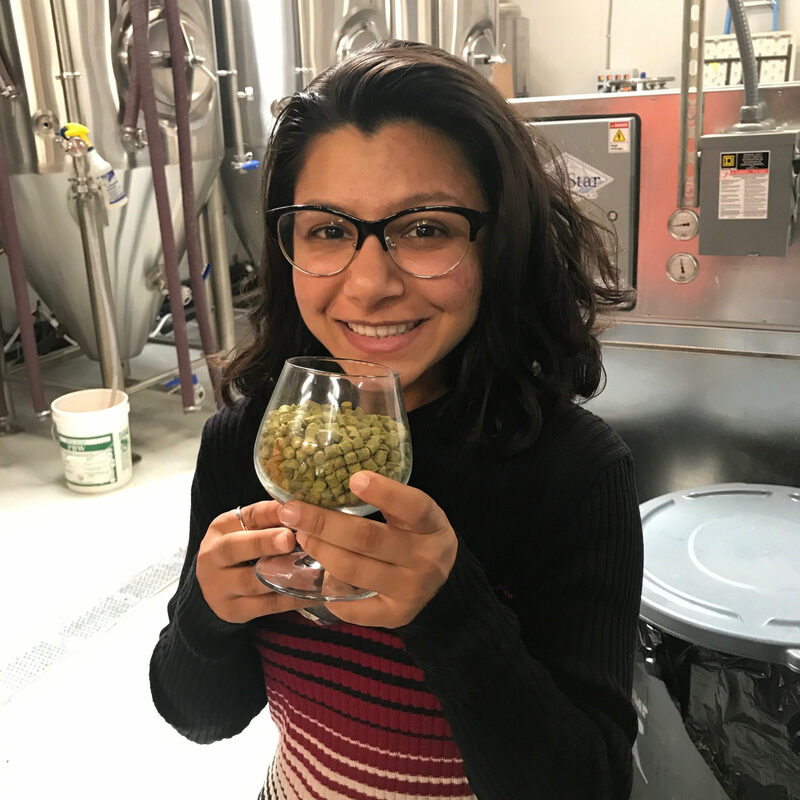 Our club got the opportunity to visit one of those breweries and learn about how something that might just seem like a fun hobby actually involves a complex scientific process. Big Stump Brewing Co. is an independent craft brewery in Midtown Sacramento. Matt Pipkin, graduate of the Master Brewers Program at UC Davis and Lead Brewer at Big Stump showed us the brew floor and went over the process of how the beer is made. It is an extremely complex process that requires extensive knowledge to properly facilitate the steps from the raw products like hops, barley, yeast, and water to the delicious product at the end. At our latest fall meeting on Friday the 13th, former Sacramento City science students returned to share their experience with the club. The first speaker was Jamie Thom who spoke about his undergraduate experience at the University of the Pacific and SCC spanning 15 years due to quite a serious illness. He spoke to the students about perseverance and working hard to achieve your dreams no matter what obstacles you may face. He also reminded us to appreciate the small class and personal experience that you get at a community college at SCC and to take advantage of it while you can. Our next speaker was Alexis Kennedy,a Food Science major at UC Davis. She used humor to compare the difference between the semester system at SCC and the quarter system at UC Davis staying “a semester is like sipping a cocktail and really getting to experience the different tastes while quarters are like being given eight dirty tequila shots and having to slam them back.” She told future transfer students to not be afraid to go up to your professor after class and talk to them and shared her experience building a relationship with professors, one of which even landed her a research position in a research group. She also encouraged students to apply for transfer even if they don’t quite have all of the requirements met for the guaranteed transfer agreement. She was accepted at UC Davis on full scholarship through a special program and is now able to attend Davis while paying less than she did at SCC. Ka Yang, a biology major currently applying for pharmacy school, was out third speaker and emphasized the importance of family support and guidance. Her big advice for current students is to take advantage of all resources available including internships to help achieve your dreams. Our last speak was Matt Owen, who was a 2.0 highschool graduate with no direction and no passion starting out at community college. That is, until he took Intro to Chemistry with Professor Nasiri and found passion in science. He worked hard from there transferring to UC Berkeley and eventually UC Davis for graduate school. He emphasized understanding your own learning style to ensure effective studying and he also talked about careful planning and scheduling to help balance school, family, personal time, and even necessary things like sleep. 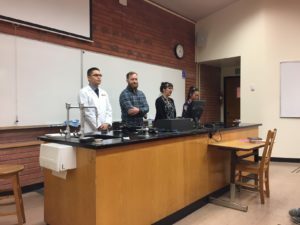 With the future looking as bright as our electric skittles experiment ( ) the Sacramento City College Chemistry Club enters the 2017/2018 school year with a renewed mission to promote chemistry to the Sacramento community and have fun while doing it!